Chew on this: a monarch can leave Nova Scotia, Canada and travel to the mountains west of Mexico City, which works out to somewhere around 3,000 miles. A butterfly, mind you. Miracle? They can fly between 50 and 100 miles per day (and the farthest range recorded was 265 miles in one day). Only 1 generation, known as the ‘first generation’ makes the journey south, whereas successive generations fly north after overwintering. And, most amazing in my book is that this remarkable insect, tiny little insect that weighs less than a gram, makes its way on an epic journey to a destination that it may have never been to before. No GPS, no in flight navigator and despite its many stops, or being blown off course by many miles, it steadfastly makes its way to a rather small location, the exact location, from whence came its parent (or even grandparent). How Does the Monarch Migrate? Needless to say, there have been a lot of very smart people trying to figure this one out, and there are some important studies that basically conclude that the monarch butterfly’s antennae act as an internal clock while the eyes position the sun for navigation. Essentially, these 2 inputs from the eyes and the antennae allow for the adjustments in the migration’s course. According to Eli Shlizerman, an Associate Professor at the University of Washington, the monarch has a “genetically encoded compass – it integrates two pieces of information – the time of day and the sun’s position on the horizon – to find the southerly direction” So that basically explains their success in getting there, but what about going home? According to the same study, the answer is simple. All of that data coming in simply needs to reverse direction for the successful trip home. The butterflies that make the southern migration are known as the Migrating Generation. They are the last generation born in late summer that does not become reproductive, but are the ones that make the epic trip. 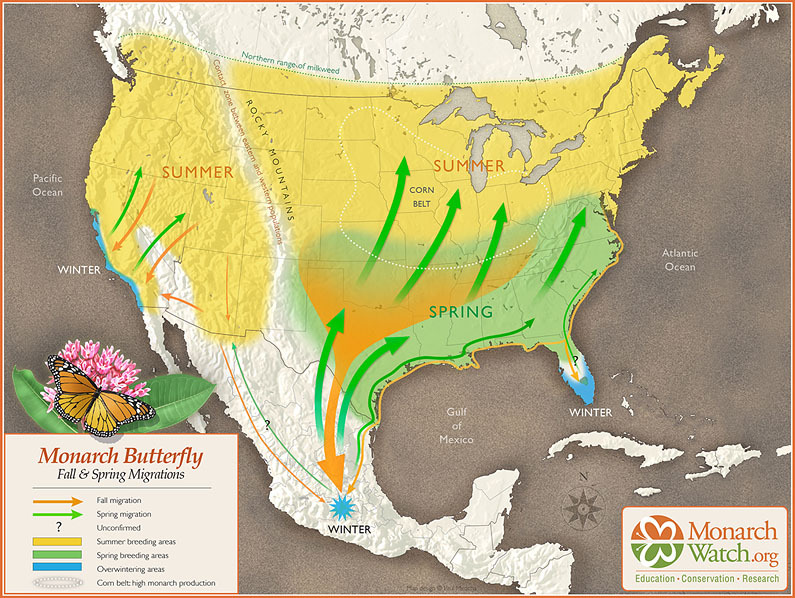 The monarchs coming from Eastern parts of the US and Canada overwinter in the oyamel fir forests in Mexico, whereas the monarchs in the western areas of North America make their way to California. After their ‘southern vacation’, they become reproductive in February and March and begin the trip home. Their job is to lay eggs as they travel, and remember, only Milkweed will do. Although it is a one generation trip south, it can take up to 3 or 4 generations to make it all the way ‘home’, reproducing along the way. This is where we come in, where we can ‘do our part’! 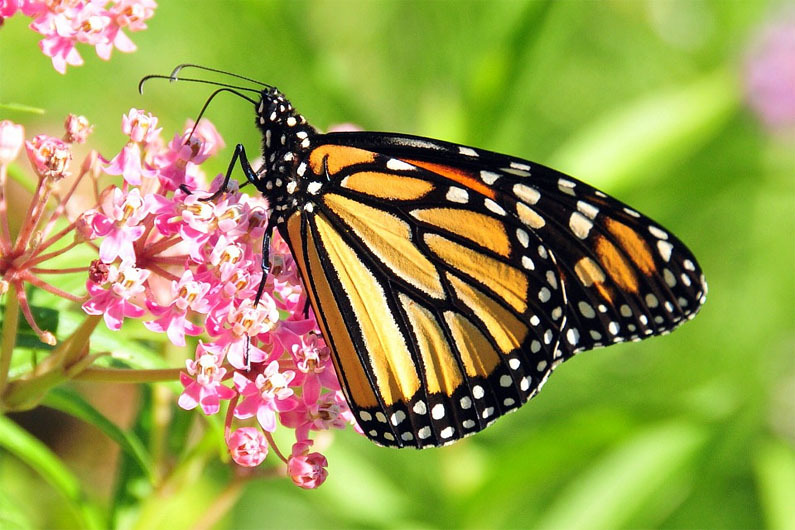 Because monarchs lay eggs only on NATIVE milkweed plants, we need to make sure that they have plenty available. The larvae hatch in 4 days, and feed ONLY on milkweed for about 3 weeks before continuing with the migration in search of mates and nectar. We’ve discussed the threats to milkweed, and ways you can help but there are also a number of really dedicated organizations working tirelessly to ensure that monarchs don’t go the way of the sturgeon. 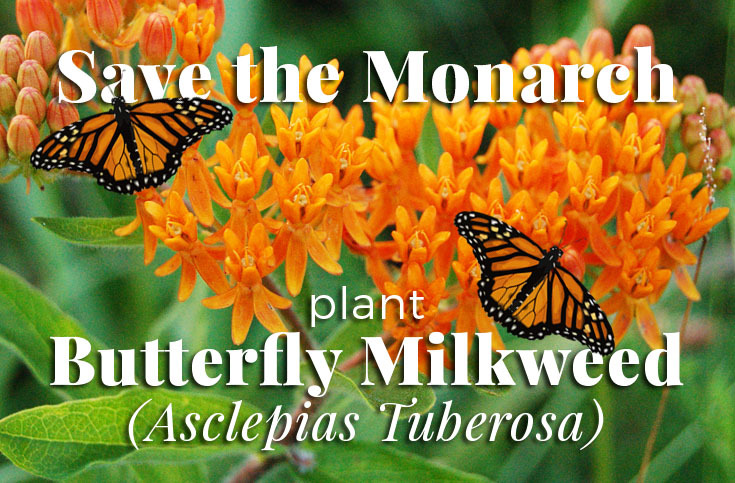 So, we are offering free milkweed on our site, and encourage you to keep researching! Thanks so much for this post! We built a home 5 years ago on what was part of family-owned land and I have marveled at the number of Milkweed plants that have continue to come-back over the years. I’m so glad that they’re here and hope the Monarchs are finding them alright! Our Town sends out mowers to keep the road sides cleaned up … and the milkweed is just beyond their reach! I hope, in my own little corner, that these will remain untouched. We can only take care of our ‘own little corner’ so sounds like yours is under control! How do I keep the wasps away from the caterpillars? They are killing them in droves. Wow! There are more predators than we thought, although we’ve never had this issue. Did a little research and one of the easiest recommendations was to take the nests down, at night. Or, cover the plants to protect them from wasps. Not sure if this helps, but thanks for that new twist. This is where we come in, where we can ‘do our part’! I bought several milkweed plants. It is hard to find and the grower I buy from has had a hard time keeping it in stock. I have not seen any butterflys so far but it is not time for the migration. Last year butterflys of all kinds were numerous. I am concerned that the mosquito sprayers are causing some problems. We use to spray and specifically asked for an environmental “safe” spray. HA! HA! Anyway, we did not spray last year and decided that we would dose ourselves to keep the mosquitoes away. We also plant a vine specific for the gulf fritilary (sp). We were just discussing this whole new ‘mosquito spray’ explosion ~ wonder what they are using? Anything is better that what they used when we were kids – anyone remember those trucks on a summer evening? !